During the first Pan-African conference ever held on African soil, the first “African Freedom Day” was celebrated. It was a day of unity and solidarity punctuated with political education and cultural entertainment. With the creation of the Organization of African Unity on May 25, 1963, African Freedom Day became African Liberation Day (ALD) and has been celebrated not only in Africa but throughout the world. 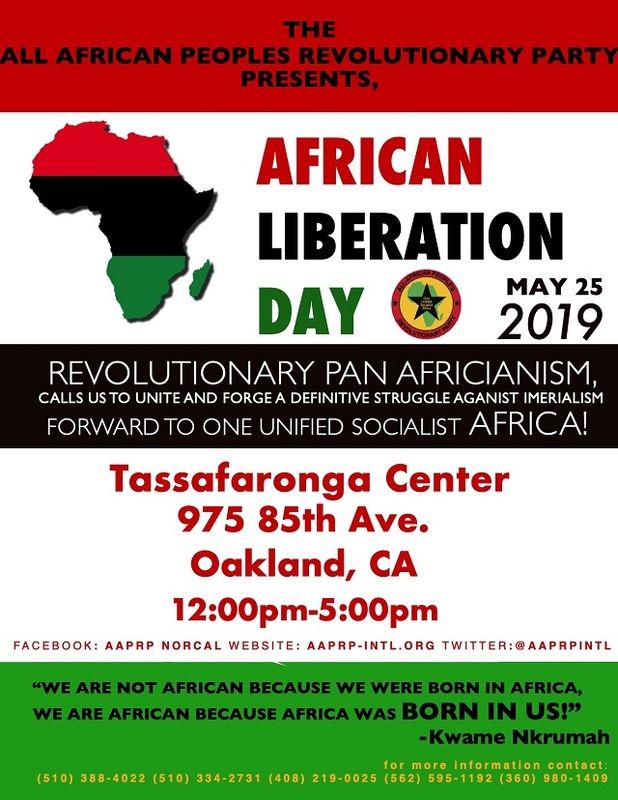 Since 1976, the the All-African People’s Revolutionary Party has organized ALD in Africa, Europe, the Caribbean and the U.S. And, it is in the spirit of the first African Freedom Day that A-APRP is organizing the 61st anniversary of this historic occasion. It is just as important today as it was in its inception because wherever you find African people we suffer from the same conditions – racism, poverty, unemployment, capitalist exploitation, police terrorism and white supremacy. 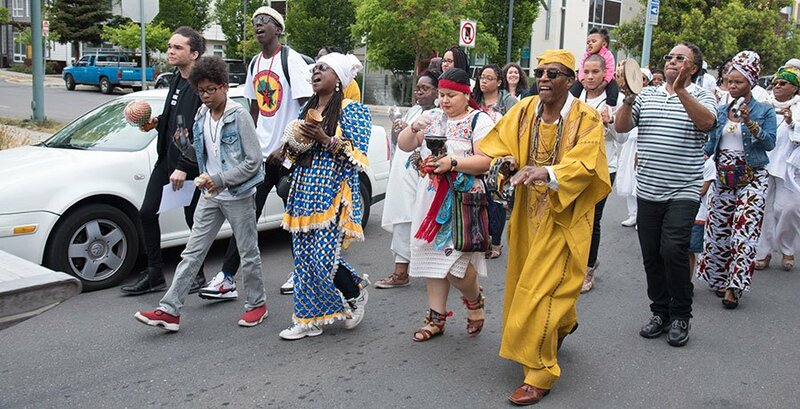 The A-APRP is calling on all African and peace-loving people to join us in celebrating African Liberation Day 2019!